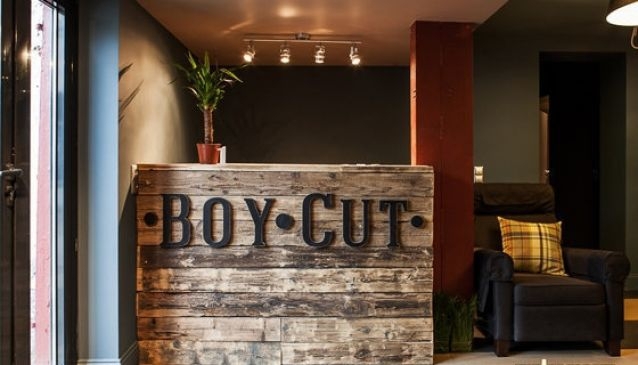 Boy Cut is a modern barber shop at Red October. Any real man may get a perfect cut, a cup of coffee or tea for free and a handshake in this professional hairdresser's for men. Work of those barbers is an art and a part of their life - Real Man's Haircut, Man's Beard Cut, Man's Clipper Haircut, Man's Son Haircut, Man's Beard Styling. Boy Cut's special offer is a nice go! One, it is a red price for Red October. If you work at Red October show your business card or pass and take a special Real Man's Haircut with a 10% discount. Two, there is no generation gap in Boy Cut. Take your son and get one special price for two of you. And finally, really happy hours. Every weekend Boy Cut is not a good place to drink cappuccino or Oolong. Come on Thursday, Friday and Saturday from 8 till 10 p.m. and get a special drink for free. Get professional service, unforgettable atmosphere and have a good time in Boy Cut!